If you still do not send emails to your clients or you are not very clear how to do it, we will give you the reasons and a few tips so you can get down to work and get the most out of this tool. WHY SHOULD I SEND EMAILS TO MY CUSTOMERS? The statistics are a good reference to know if we are investing well our time and our money and, in the case of email marketing, it is clear that yes. According to a study conducted by Radicati Group, the total number of users using email, both professional and personal, is estimated to reach 2.8 billion in 2018. So here is the first solid reason to send emails: The 3.1 billion use the internet worldwide, 90% have an active email. If we continue to take care of the data, we can see that, according to a study by Silverpop (IBM) made to more than 3,000 brands in 40 countries, the industry that takes the most out of their emails is dedicated to the provision of "Accommodation services and travel agencies ", Of which, those dedicated to" Hobbies "enjoy an opening rate of almost 30%, the highest in the market. Second solid reason, we are of the sectors in which our clients are more interested in receiving information. And, last reason, according to DMA study, pfor every $ 1 invested in an email marketing campaign, we received $ 38 in the form of ROI. These data what they want to tell us is that our customers are accustomed to receiving emails, indeed, they expect to receive some email from you. That's why, if you're not sending them, it's the perfect time to start doing it if you want to get a little out of this great pie. WHAT TYPES OF EMAILS DO YOU EXIST? Transactional Emails : They are all those that we send to our clients in a personal way and contain information that completes a transaction that the client has carried out with us. We can find many types but, the most important for our sector are: confirmation, reminder, summary, cancellation or return. Obviously, this sending of emails has its positive side but also has negative and, in this case, it is the number of daily emails that the client receives. If we want to stand out among others, we have to impregnate character in our communications. Recommend other products or activities. According to an Amazon study, the perfect time to sell something new is just after you've made a purchase. Enjoy! Offer discounts or promotions and invite them to bring friends. Include additional links that may be of interest to your clients, for example, if you rent kayaks or SUPs, pass them a link from your blog where you recommend good routes around the area. Indicate the day, time and place of the activity. Attach a map if you think it is necessary and comment on whether there is parking or not. Tell them what to bring: Water? Swimwear? Sunscreen? If your customers have to fill in additional information (such as insurance), make it easier for them to do so. You can offer them a link where they can fill in all this (besides, you will save time on your arrival). The logo is essential and should always go in the header of your emails to reinforce the brand image. Try to use "subtitles" to make the reading more enjoyable. We recommend sending an email reminder to your client one week or several days before the activity date, this will improve your image and the client will know what to expect from you. Additional information of value such as, for example, if there are baths or changing rooms in the area of the activity. Remind your client if he can park or not in the activity area, whether it is private parking, public, on the street or covered. Do not forget to send an "email review" to your customers in which you thank them for having attended the activity and ask them, confidently, how they have happened and if they do not mind making an online reference about their experience or sharing Your photos with you (for this you will have to leave a handy link where they can do it). Ask very specific questions about the activity, ie ask about the materials, the instructors, the classes, the schedule, the time ... do not just ask "Did you enjoy it?". Be neutral and do not ask questions like "Have you had a great experience?" Because you are already conditioning them. Remember to include CTAs (better one than hundreds) if you want your clients to take action like sharing videos and photos on your social networks. Take advantage of and share #hashtags with those who can find and label you, so they will want to share with others. This type of emails at a good time to offer a discount / offer if they repeat and take advantage of it to generate loyalty. You can even invent a program of points and discounts of the type "If you bring 5 friends, your experience is free for you." Even if you have received a cancellation, you always have to think that your client probably had a drawback that he can not attend. Do not take it badly! Keep the tone close and remind you that you are at your disposal for whatever you need, it is very likely that you will come back later. This type of emails should be very specific in terms: information on cancellation fees, returns, payment methods, waiting time ... You will also need to include a legal text on the cancellation and data protection policy. You can even ask them why they decided to cancel the activity as long as you are discreet, have them choose between these three options: personal reasons, work, weather forecast. To close this email, remind them that they are missing out on a wonderful experience and give them the opportunity to book it again with a good CTA. 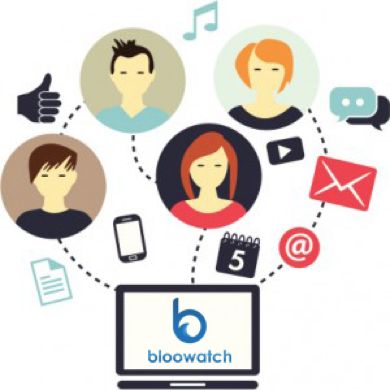 With the Bloowatch app just worry about the content you want to pass on to your customers, try it and leave the technical stuff to us.